Published by Sandstone Press (UK), Jacana (South Africa), and Cossee (Netherlands) as Op de veranda. Late at night Ella watches her elderly father on the verandah, raging at the African sky. Caught between her mother’s mysterious grief and her father’s shattering wartime experiences, between the Holland of their past and apartheid South Africa, Ella fights hard to make it through her childhood in one piece. Her one enchantment is her forbidden love for the teenage gardener, Phineas. Years later, seeking political refuge in the Netherlands, Ella discovers her father never registered her birth. Now she must confront her father’s ghosts, and create a new future for herself. The story, as disturbing as it is enthralling, of a girl’s struggle to emerge from under the dead weight of her father’s oppression while at the same time searching for a secure footing in the moral chaos of South Africa of the apartheid era. A secret duel to the death between a father and a daughter. Distilled with an intimate sense of history, and very moving,The Shouting in the Dark is a powerful novel of memory, family politics and awakening. 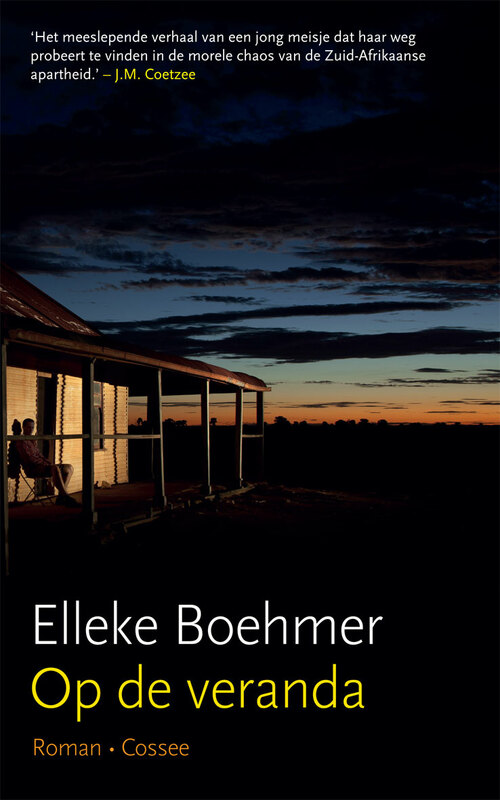 Boehmer’s The Shouting in the Dark […] mirrors and mines the affective charge of a South African cultural and public life now avowedly post-TRC and shaped by new orders of private and public feeling, force and anger. The Shouting in the Dark is a text that seems to be written through the mists of memory. 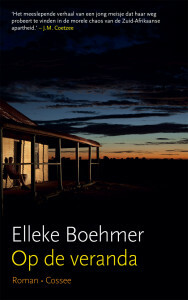 Boehmer’s language is feathery – barely touching the surface of her stories, pregnant with things left unsaid. … a book for all young activists – about learning to shout in the dark. A fine coming-of-age novel, which vividly explores ideas of memory, identity, and what it means to belong … Boehmer paints a haunting picture of a deeply troubled family unravelling, but as the novel progresses, it becomes clear that this is a double investigation – into the moral chaos of apartheid South Africa as well as self. It is a mark of the writer’s skill that this is achieved organically, with nuance, through the telling of Ella’s awakening; it never feels heavy-handed or contrived. A haunting evocation of a childhood, this novel is also a confirmation of an identity that cannot be reduced to words. […] [A]s was the case with Kurtz and Marlow in Conrad’s great novella [Heart of Darkness], what it finally reveals is the necessity and limitations of words. Except that in Boehmer’s novel, what is brought back from Africa is not a lie made of hollow words. Instead, it is an experience – charged, brutal, contradictory, and yet containing within itself the possibilities of truth. Like the book’s portrayal of South Africa, the story is circular. It is layered and nuanced; it is a song of possibility, longing and grief that continually loops back upon itself making new words out of the stories of the past. Like any excellent book it both speaks to the specificity of its historical and geographical location and to the broader nature of human relationships and belonging. [A] strong, hard-hitting novel that makes the reader long for more. It’s a remarkably involving story in which Boehmer shows us how the complex and clever old tyrant nevertheless shapes his daughter’s political sensitivity, if only in resistance. A subtle and passionate voice, Boehmer examines survival in all its manifestations in a new country. Resilience is at the heart of Boehmer’s work. This moving story is not to be missed either as a glimpse into the political chaos of Apartheid South Africa or as a beautifully rendered portrait of a childhood deprived of love or comfort. Astounding. 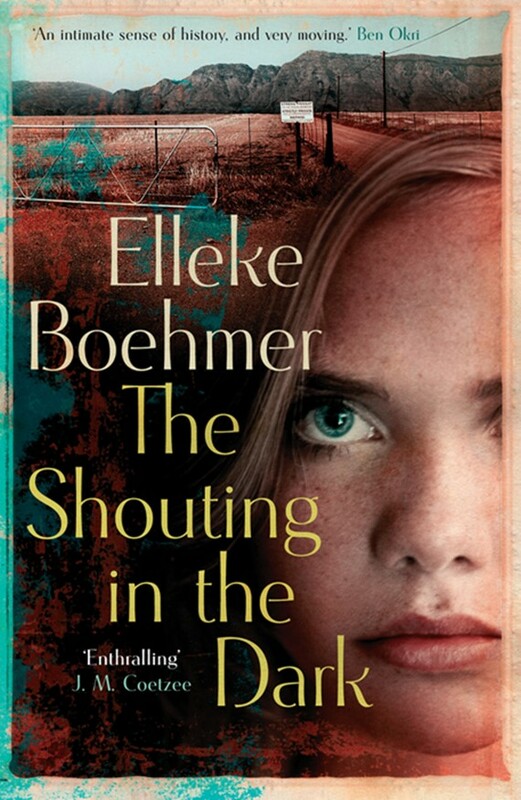 Elleke Boehmer’s most powerful, spellbinding novel to date.